Japan is being awesome again. 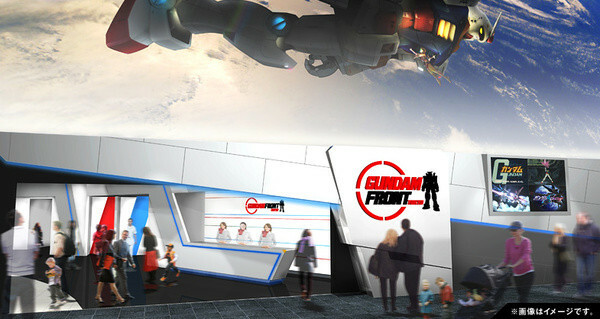 This time, they’re building a Gundam theme park, set to open in April – “Gundam Front”! Ok, so it’s not quite on the scale of Disney Land – it’s 2050 square feet, and it’s inside a shopping centre in Japan’s man-made island Odabia in Tokyo. But even so, a Gundam theme park! In addition to free exhibits – including a display of Gundam models and a Gundam shop (how can I get one to open in my hometown? ), and the second Gundam Cafe – there’ll also be a paid area (1000 Yen, or £8.30 for adults, 800 Yen or £6.60 for kids) which will include Gundam artefacts, a viewing area showing a film on the giant Gundam statue and other related videos, and photo spots where visitors can pose with characters!. No doubt more awesome stuff will be added as the project gets under way. Now, if you’ll excuse me, I have to go sell my girlfriend for a ticket to Japan…. Oh, and for those of you that can read Japanese, here’s the original article on Bing Japan.! This entry was posted on Tuesday, January 31st, 2012 at 3:47 PM	and tagged with Gundam, Gundam Front, Japan, Rooney and posted in Anime, Cool Stuff, Gundam. You can follow any responses to this entry through the RSS 2.0 feed.